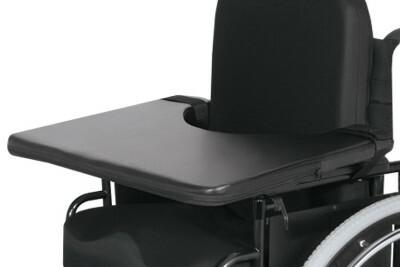 The Comfort Company has created the DuraSoft Lap Tray for those users who require a more comfortable surface out of their lap tray. 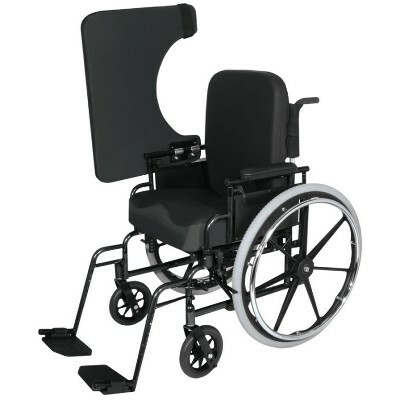 Easily and quickly attached to full or desk length wheelchairs, the DuraSoft Lap Tray is encapsulated on top, bottom, and sides with a layer of high resiliency foam and an easily washable vinyl cover. Please make sure to choose your style via the drop down boxes to customize your lap tray. 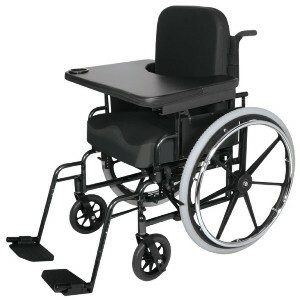 All hardware works with any style and brand of chair over 14" and under 26" width.